A couple of years ago I discovered a number of black and white, Ilford film, slides tucked away in an old box in storage. 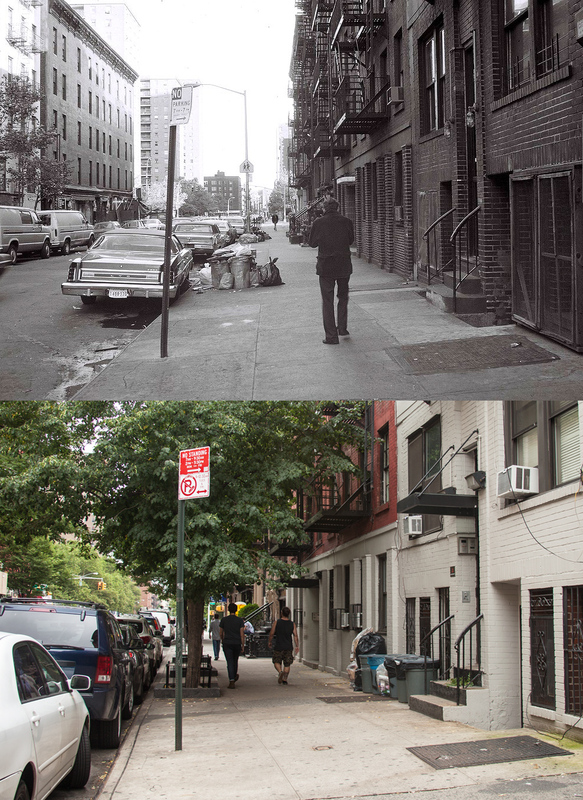 They were photographs taken during an afternoon walk through the East Village of New York back in the late 1970's. I'd forgotten I'd taken them and it was quite an experience to see those streets and places again. 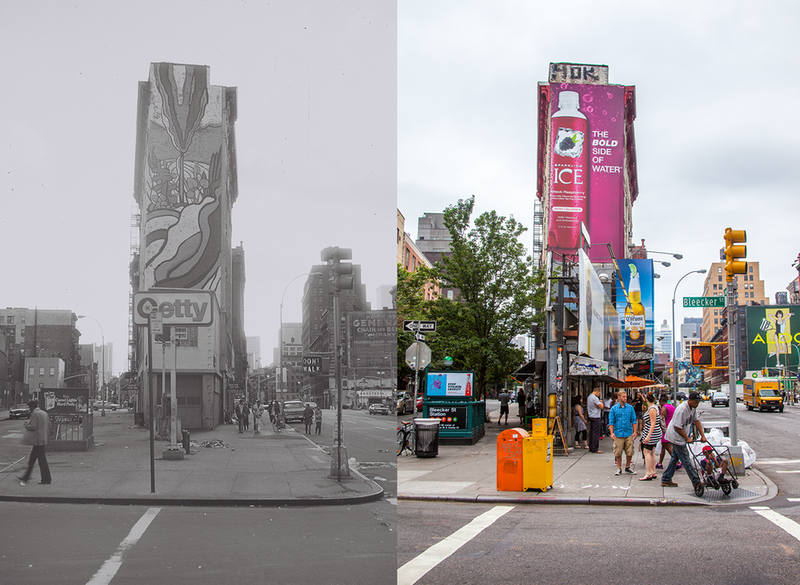 I've only recently had the opportunity to go back to New York, the first time in 15 years, and I stayed down in the East Village. 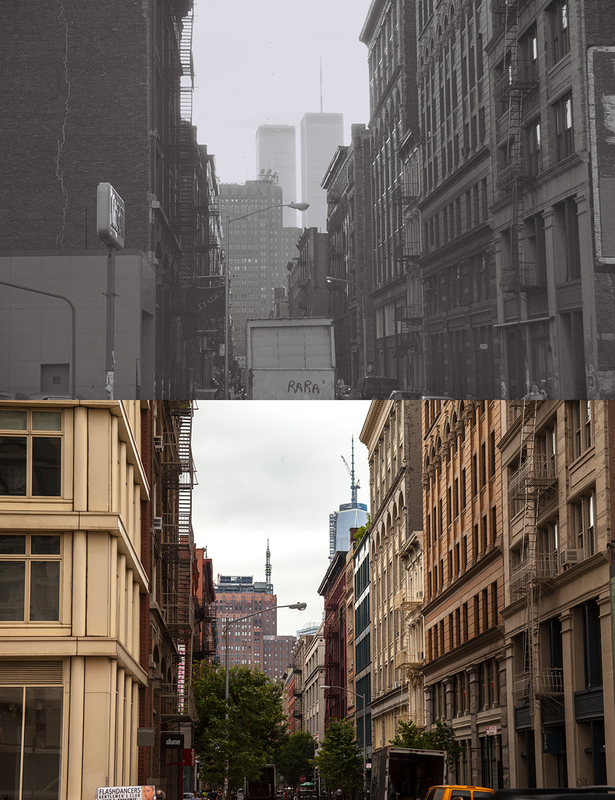 On the last morning in New York I managed to visit some of the locations and reshoot them. Here are the Then and Now's. This is the street that I lived on in the late 70's. East 4th Street between 1st and 2nd Avenue. I had a five floor walkup, the entrance is where the white lintel overhangs the doorway. This was taken on the corner of Wooster and Houston. During my time in New York the Twin Towers dominated everything; their presence was dramatic. The events of 9/11 changed all that and it's apparent in this image while many things haven't changed a lot has. Similar to the famous Flatiron building on 23rd street this corner of Bleeker and Houston hasn't changed all that much in 30 years.